Following the withdrawal of the Association as a sponsor, the Notah Begay III Foundation also pulled out of the event. A Navajo, Isleta Pueblo, and San Felipe Pueblo who is a four-time PGA tour winner, Begay is a golf icon among Native Americans. On the surface, it isn’t immediately obvious how the Association and the NB3 Foundation wouldn’t have known that Snyder’s team and its sui generis foundation hadn’t been involved, since the event was apparently titled “The Washington Redskins Original Americans Foundation 1st Annual KTNN Celebrity Golf Tournament,” but it seems like the team’s role wasn’t really revealed until just about a day or two before the event. 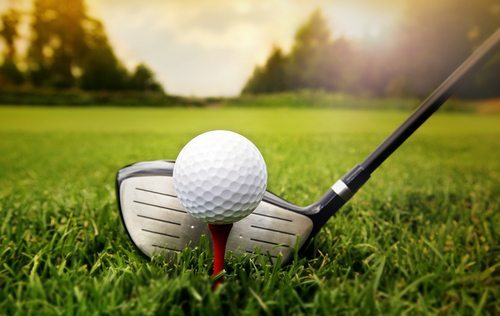 Crystal Echo Hawk, the executive director of the NBE Foundation, said she had been approached by radio station KTNN in February to have the foundation donate some golf equipment for a silent auction for the tournament, whose proceeds would support scholarships for Native American students. Echo Hawk, a Pawnee, indicated that she hadn’t been told until last Friday that Snyder’s team or his new foundation was involved in the event. A report in Indian Country Today confirms that neither the Gaming Association nor the NB3 Foundation were told of the Original Americans Foundation’s involvement in the tournament when first approached by KTNN. “I find it underhanded and despicable that the Washington football team would co-opt this event,” Echo Hawk told USA Today Sports. “As soon as we found out about their involvement, we withdrew our support.” The foundation issued a statement that explained that it doesn’t condone the use of the derogatory name for Snyder’s Washington, D.C. franchise, nor his creation of the Original Americans Foundation. The tournament’s co-sponsorship indicates some of the divide in the nation over Snyder and his team. KTNN, the co-sponsor of the celebrity tournament, is a radio station that bills itself as the “Voice of the Navajo Nation,” and listed the Navajo Engineering Construction Authority, the Navajo Nation Gaming Enterprise, and the Navajo Nation itself (at least the Office of the President and Vice President) as lead sponsors of the tournament. Subsequently, the Navajo Nation Gaming Enterprise issued a statement saying that it had been approached in March for support, but, like the others, hadn’t been told of the involvement of Snyder or his new foundation; had it known in advance, it would have declined a sponsorship role. In our past coverage of the controversy over the offensive name of the Washington NFL franchise, we conveyed a deep discomfort with the strategy clearly being employed by Snyder to, in essence, buy his way out of the controversy by creating a foundation ostensibly to support Native Americans and then attach his team’s derogatory name to it. If the reporting from USA Today and Indian Country Today are correct, what makes it more disturbing is the underhanded way that the Snyder team/foundation role in the KTNN golf tournament was implemented. This strategy is not unknown. You soft-pedal the involvement of the objectionable entity until it is almost too late for other participants or sponsors to withdraw without costing the intended beneficiaries, in this case, Native American students, some of the charitable benefits. While it is difficult to know what the NB3 Foundation and the Native American Gaming Association ended up contributing to the tournament, neither was stopped from standing up against and calling out the Snyder strategy.